I love sunflowers. Every year I plant many varieties because they are so beautiful in the garden. An added bonus is that many bees both native and honeybees love them too. Being a beekeeper I want to help my bees by planting bee friendly plants. Bees like both nectar and pollen from sunflowers so they are a great flower to plant for honeybees and native bees. 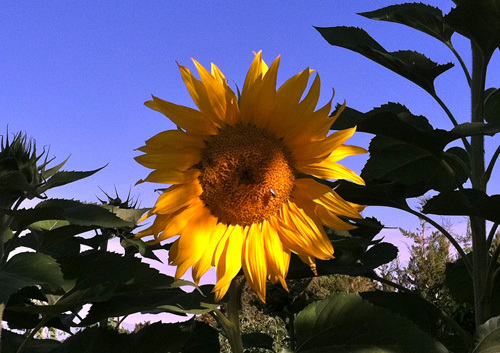 Individual sunflowers rarely self-pollinate but depend on the bee to help them. 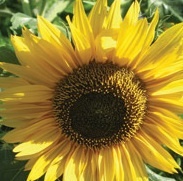 In fact bees are the major pollinators of sunflowers. 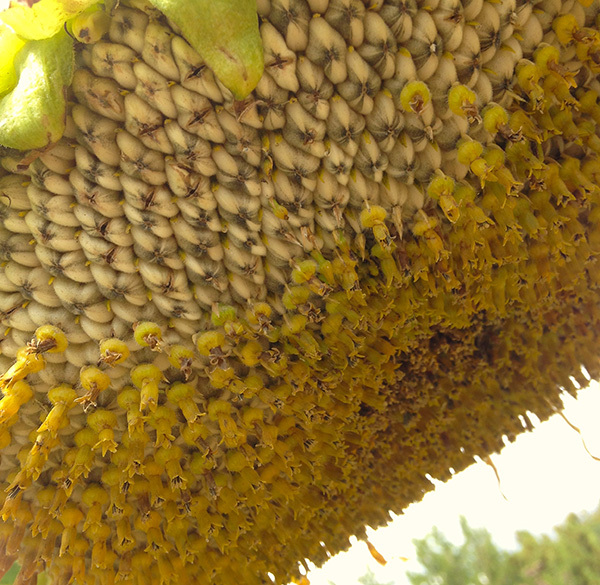 The bees get covered in pollen when they visit a sunflower and then visit other sunflowers pollinating them. Here are some pictures from the garden of my sunflowers. They are particularly beautiful in the fall. What are flowers doing in my vegetable garden? Lots of things! They attract beneficial insects that eat the bad bugs, they attract pollinators for pollinating my vegetables, they can repel insects and nematodes, they can be great companions to some plants by growing them near vegetables and best of all they add beauty to a garden and bring me joy! Tuck them in around vegetables. So the next time someone pooh-pooh growing flowers in a vegetable garden give them the low-down on why they should add them. 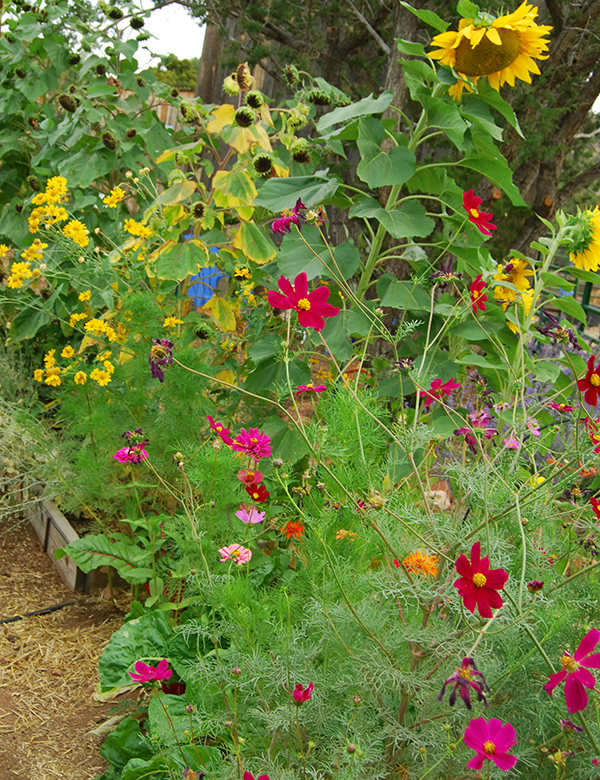 Below are some annual flowers that will add much more than just beauty in your garden. So don’t forget to plant flowers this year! borage-attracts bees/pollen and nectar. Edible, cucumber flavored flowers. Attractive to over 100 beneficial insects. golden marguerite-attracts five kinds of beneficials—ladybugs, lacewings, flower flies, tachinid flies and mini-wasps. The sunflowers are in full swing right now in the garden. In the entry way are ‘Titan’ sunflowers. I call them the guardian angels of the garden. They can get huge (up to 24 inches) although mine did not this year as they were planted late (like middle of June). Still beautiful. 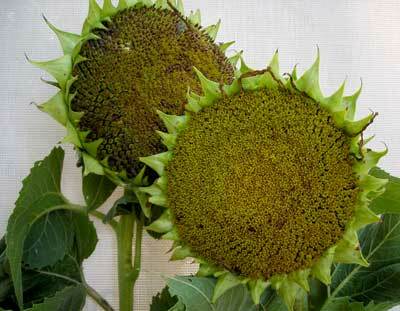 Inside the entry are some other sunflowers-Hopi sunflowers, and Chianti sunflowers. 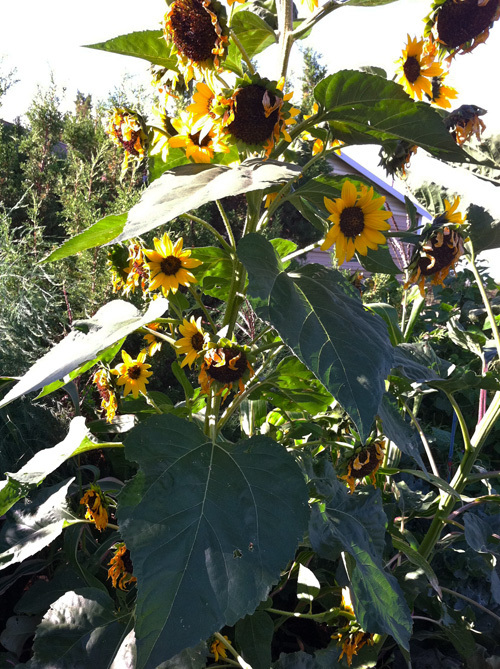 We also have wild sunflowers that grow here in NM, they just haven’t found my garden yet. 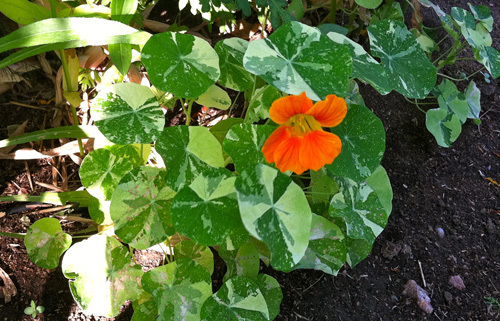 I love the green and white dappled foliage of these Tip Top nasturtiums against the other greens in the garden. 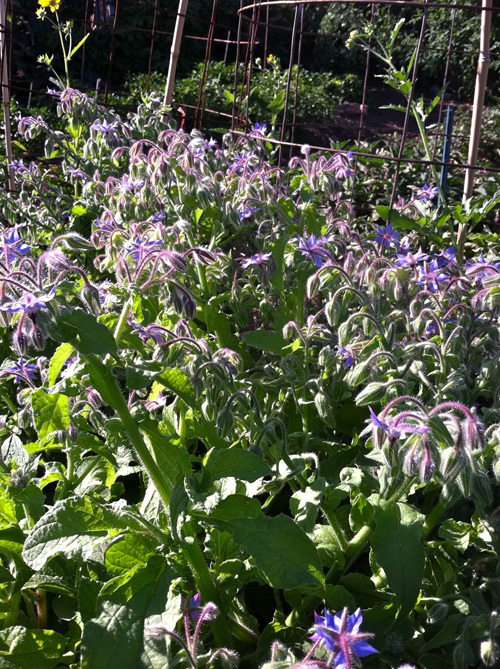 Borage is a companion plant to strawberries and the bees love them too. I’ve never seen the strawberry plant so lush and the bees are crazy for them! 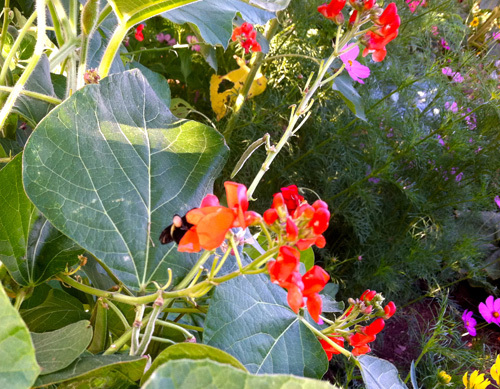 Scarlet Runner beans are a vining pole bean and produce a beautiful orange flower. Here a bumblebee is visiting some flowers. 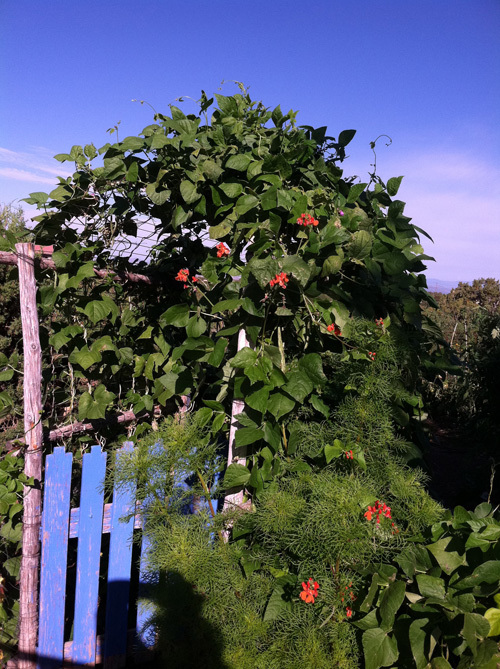 Scarlet Runner beans compete with the Rattlesnake beans for the arbor. 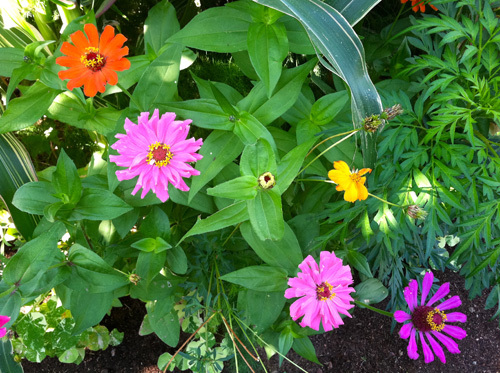 The zinnias look great mixed in with ornamental corn, tip top nasturtiums and cosmos. 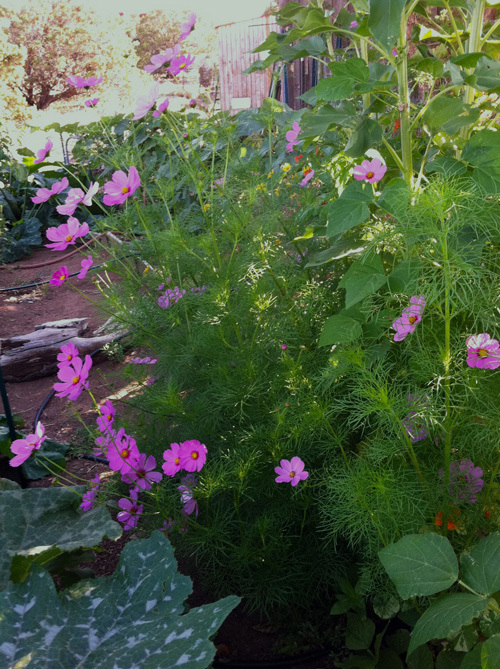 The cosmos next to the silver leafed squash are in full bloom now. All the flowers have added to create a beautiful entrance and attract beneficial insects as a bonus. I even saw some hummingbirds this year in the garden which I haven’t seen before. 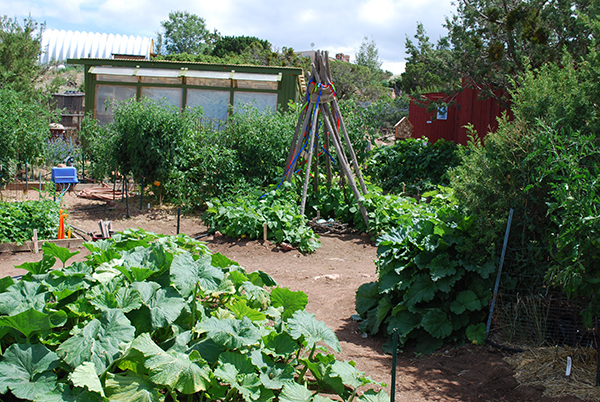 If you didn’t plant flowers in your veggie garden this year, you should perhaps consider them for next year. They add so much beauty and I love hearing the bees in the garden doing their thing.